Omega's CL1600 Surface Probe Tester is a system designed to check and verify surface probe readings across a wide range of temperatures, from 35 to 450°C (95 to 842°F). The CL1600 allows periodic in-house testing and provides preventive maintenance for all your surface sensors. 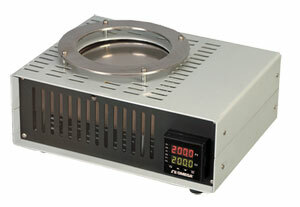 A large diameter, mirror like, high grade aluminum alloy hotplate design, provides stability while maintaining quick, uniform heat-up on the entire system.